On March 14, 2019 Cyclone Idai made landfall in the Southern Africa countries of Malawi, Mozambique, and Zimbabwe. 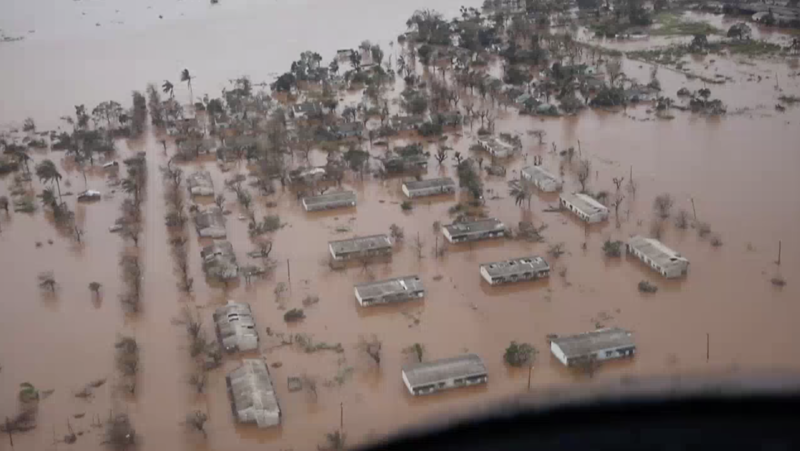 The full devastation is still being determined, but the death toll has surpassed 1,000 with many more expected. The majority of these deaths coming from Mozambique. World Vision actively works in all three countries and is responding to the disaster. The impact has been felt in at least 15 communities that we work, affecting over 34,000 registered children in Malawi alone. More than 500,000 people are estimated to be fully displaced in Mozambique and more than 50,000 people in Zimbabwe. Each country has its own World Vision fundraising website. World Vision countries listed are raising funds for this emergency. Children are severely affected by the crisis which has exposed many of them to the risks of disease, hunger, injury and death. Some have been separated from families, and there are significant protection and safeguarding concerns. The disaster is also keeping many children away from school. World Vision’s scoping team to the affected areas found genuine desperation amongst many displaced children and their families. It&apos;s estimated that over 3,000 sq km/1,200 sq miles are currently flooded. Setting up special spaces in evacuation camps where children can be cared for, monitored and receive basic psychological support and learning. Stay informed and follow our response on Twitter!